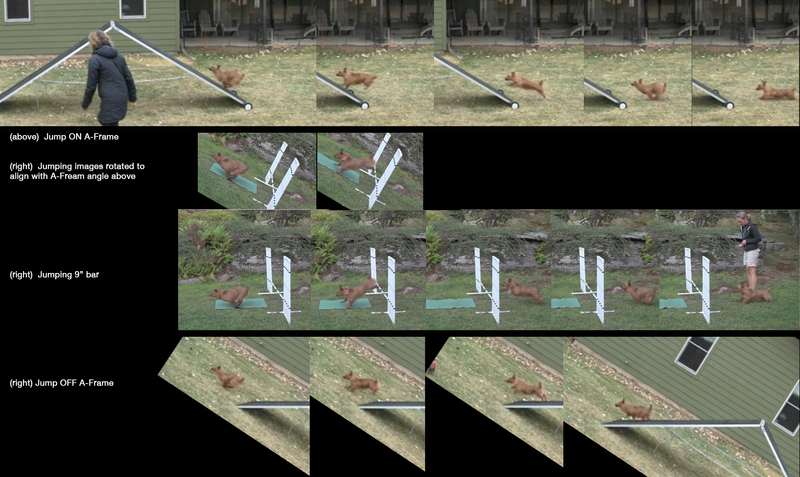 There is a new scientific study re: Canine Jumping. 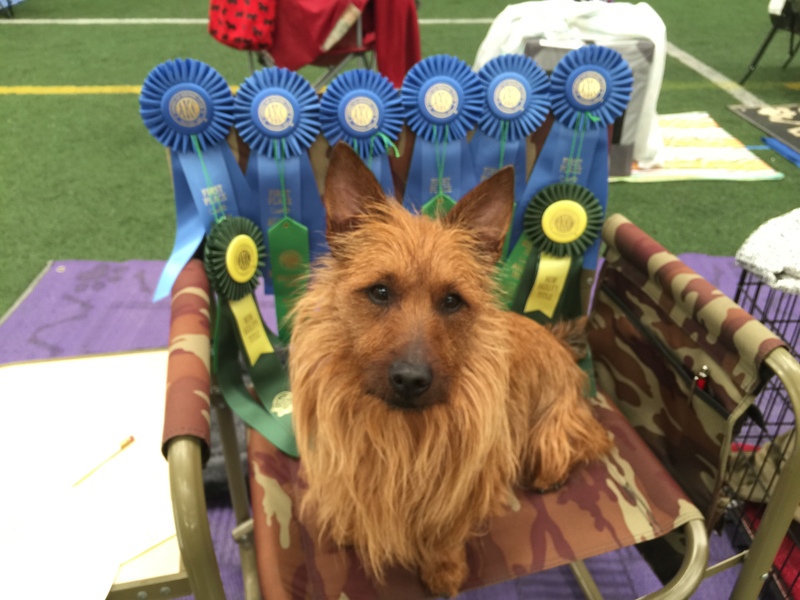 The last sentence in the Abstract below, regarding obstacle spacing, is of particular interest to me because it makes sense that obstacle spacing, relative to a dog’s size, will have an enormous impact on a dog’s jumping style, which in turn will affect how much wear and tear repetitive, agility-style jumping will have on a dog’s body. Fantastic there is now REAL science to back that up. 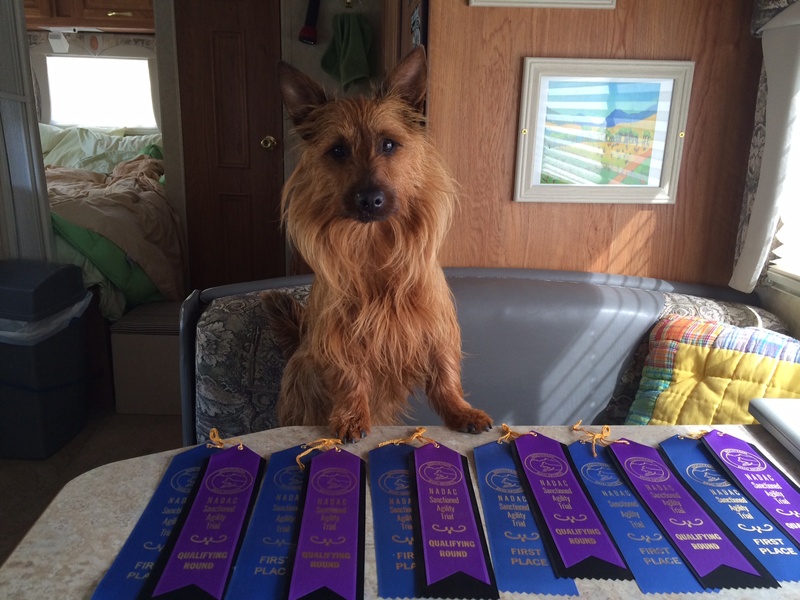 • In contrast to equines, canine sport science has been poorly studied. • As the distance between consecutive upright hurdles increases, so do the take-off and landing distances. 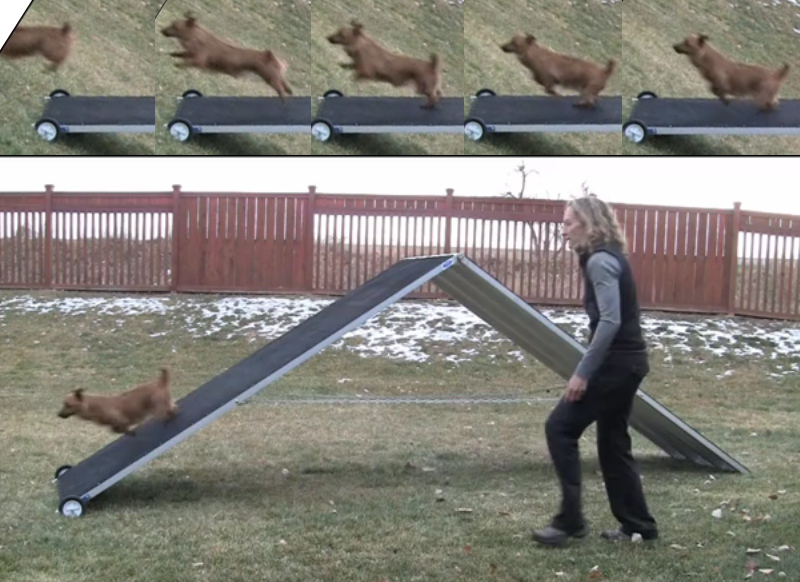 • Take-off and landing distances further alter with the dog’s skill level. • There are greater differences in jump kinematics when the distances between consecutive hurdles are shorter. 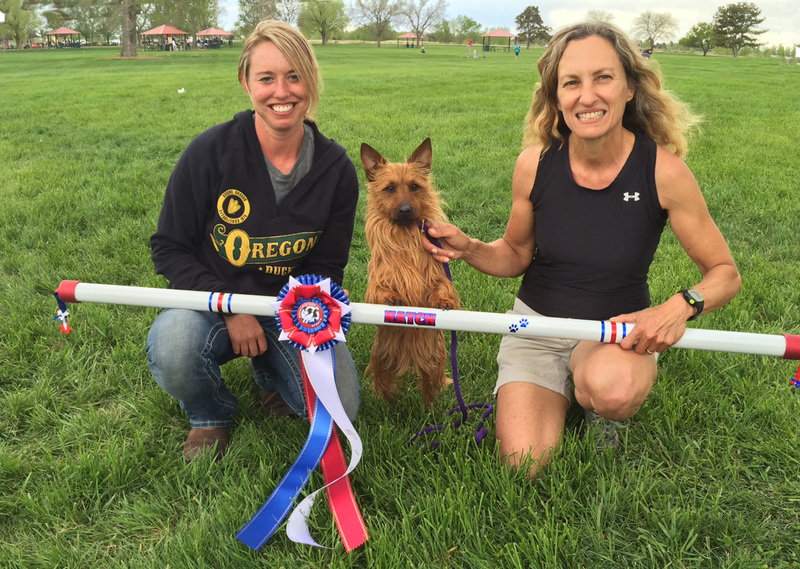 • Apparent joint angles alter for level of skill, with beginner dogs showing greater differences than advanced dogs. 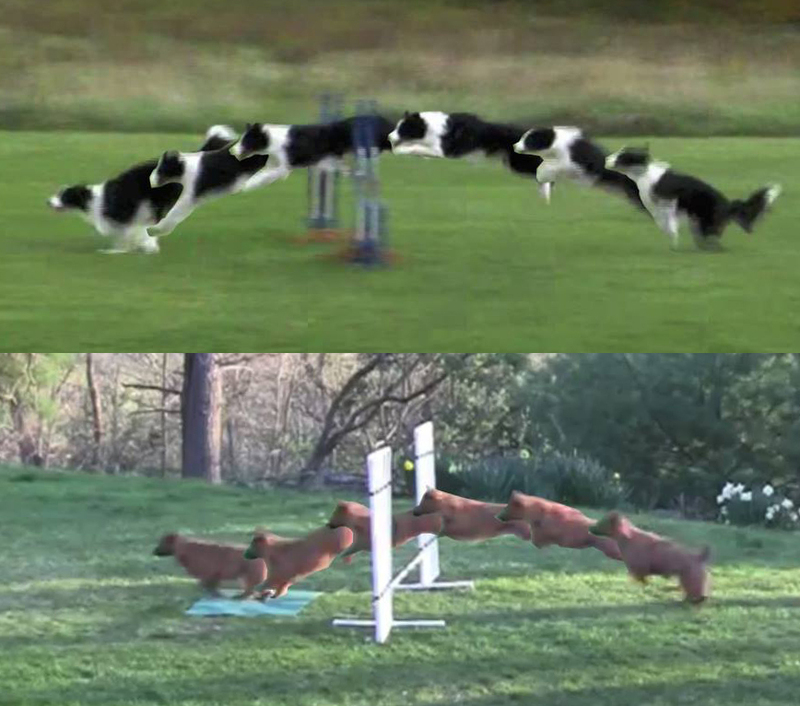 Canine agility is a rapidly growing sport in the UK. However, there is a paucity of scientific research examining jump kinematics and associated health and welfare implications of the discipline. 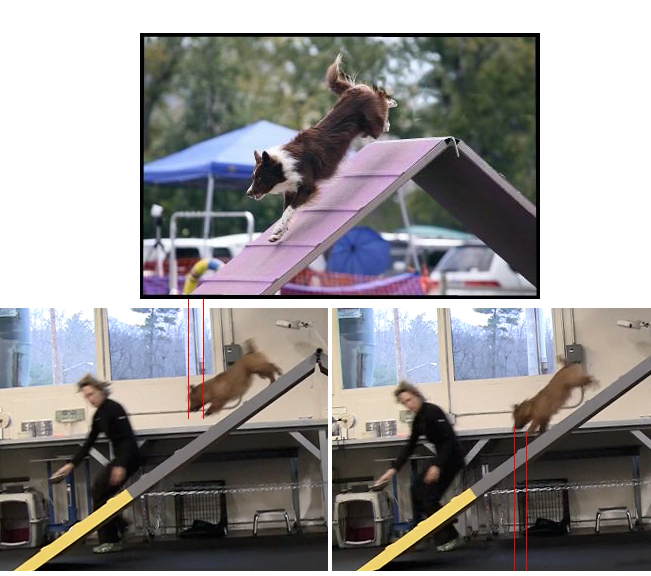 The aim of this research was to examine differences in jump kinematics and apparent joint angulation of large (> 431 mm at the withers) agility dogs (n = 54), when the distance between hurdles was altered (3.6 m, 4 m and 5 m apart) and to determine how level of skill impacted upon jump kinematics. Significant differences were observed for both the take-off (P < 0.001) and landing distances (P < 0.001) between the 3.6 m, 4 m and 5 m distances. Further differences were observed when level of skill was controlled for; take-off (F[3,55] = 5.686, P = 0.002) and landing (F[3,55] = 7.552, P < 0.001) distances differed at the 3.6 m distance, as did the take-off distance at the 4 m hurdle distance (F[3,50] = 6.168, P = 0.001). Take-off and landing speeds differed for hurdle distances (P < 0.001) and level of skill (P < 0.001). There were significant differences in apparent neck angle during take-off and landing (P < 0.001), lumbar spine angles during take-off, bascule and landing (P < 0.01), and in shoulder angles during the bascule phase (P < 0.05). 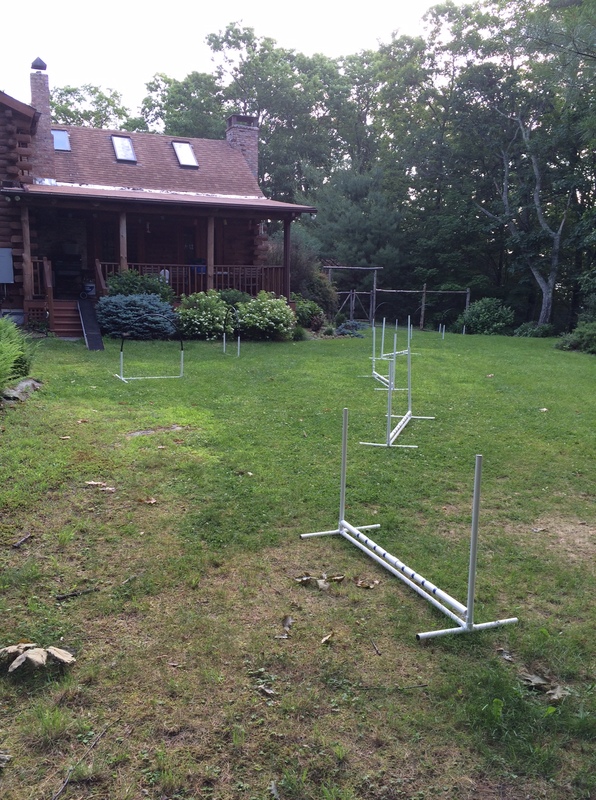 The results indicate that agility dogs alter their jumping patterns to accommodate the spacing between hurdles, which ultimately may impact long term health and welfare due to altered kinematics. Since a picture is worth a thousand words, I put together a composite that seems to support the notion that the A-frame is a jumping obstacle…. for some dogs at least. Lil is already jumping the equivalent of a 14 or 16 inch bar in order to hit the A-frame as high as she is hitting it, so I don’t think I can do much if anything that will significantly increase the height of her first hit. But I believe I can soften the hit by training Lil (and Jake) to collect and power down a little before jumping onto the A-Frame. I have a plan and have done a few preliminary sessions and I have say it looks very promising. Today I sent the dogs over the jump between two Marks (Sharon Nelson’s ingenious use of feed buckets). In the past I would have either thrown a ball as a reward or used a Manner’s Minder. While I like using both of those rewards, the Mark seems to create a different level of energy. 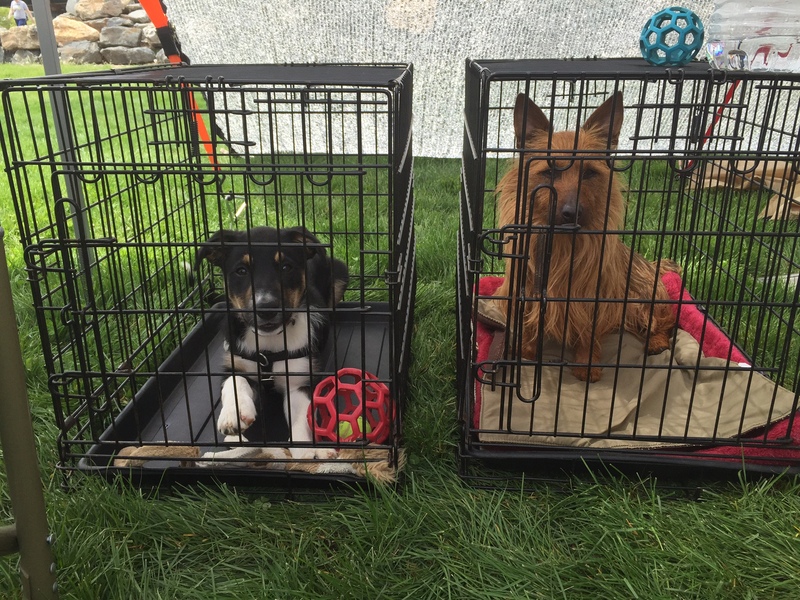 My dogs were totally READY (fully engaged) but not too high to think clearly. Sometimes I led out and other times I hung back and sent the dogs over the jump to the distant Mark. We all had a lot of fun plus I feel that this game could build more value for Jumpers Courses, which seem to be Lil’s least favorite class. I learned something new about my dogs this morning re: sends through a slightly open serpentine. When I stayed back and sent Jake ahead over the four jumps, it was clear that he saw the four jumps as a series of turns / switches. He would only take the jumps vs. turn back to me with a ? above his head or run through one of the hoops to the left if I said OVER RIGHT, OVER LEFT…. while also supporting each turn with motion that indicated a change of lead. He ran a nice line but was definitely dependent on my communicating each turn / switch. Had there been no off-course options, I suspect he would have taken the four jumps with less support. With Lil, when I said OVER RIGHT, OVER LEFT… she took the jumps but did not run particularly fast and her ears were floppy which is what happens when she is not 100% certain of what I’m asking of her. 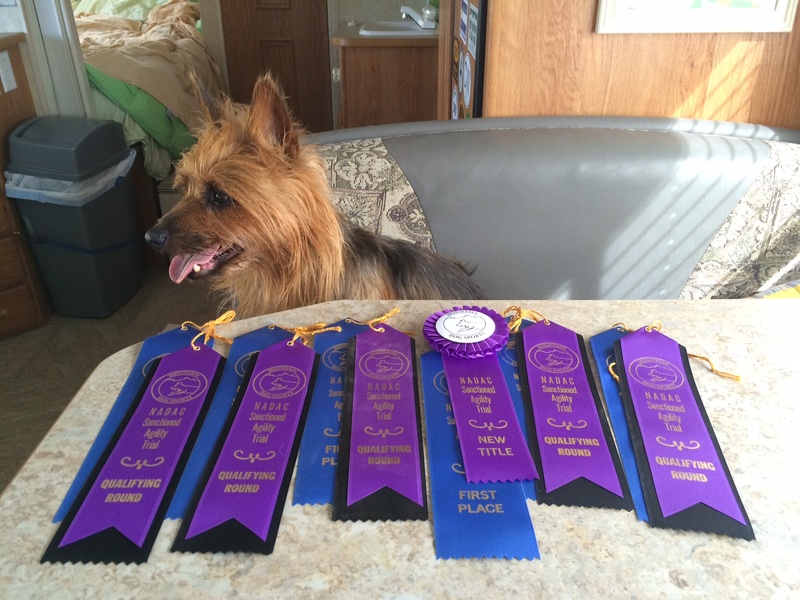 So then I thought…hmmmm Maybe Lil does not see these jumps as a series of turns and rather as a straight line of crooked jumps. So I brought her out for another short session and just said GO ON and she took the four jumps with full confidence and speed…. and her ears were up! 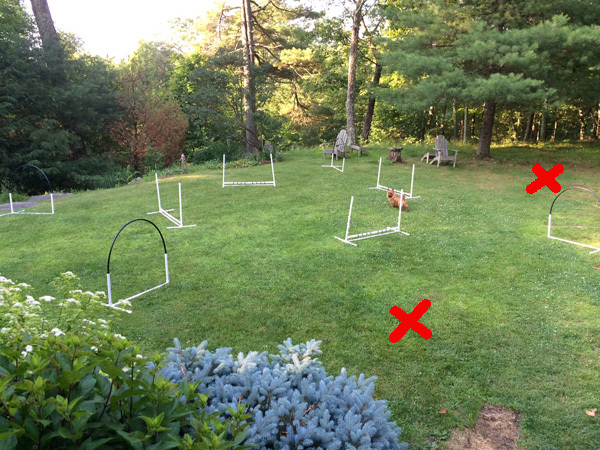 A member of the Canine Jumping Forum, who is very knowledgeable about Susan Salo jump grids, described a grid on the Forum yesterday in response to a video I posted about 12′ spacing = sweet spot for my dogs. If you want to see that video, I posted in on my Facebook page. Below is a video of a grid I set up as per Katarina’s suggestion. The first 3 bars had 4′ spacing between them and the last bar was either spaced 10′ or 9′ away. 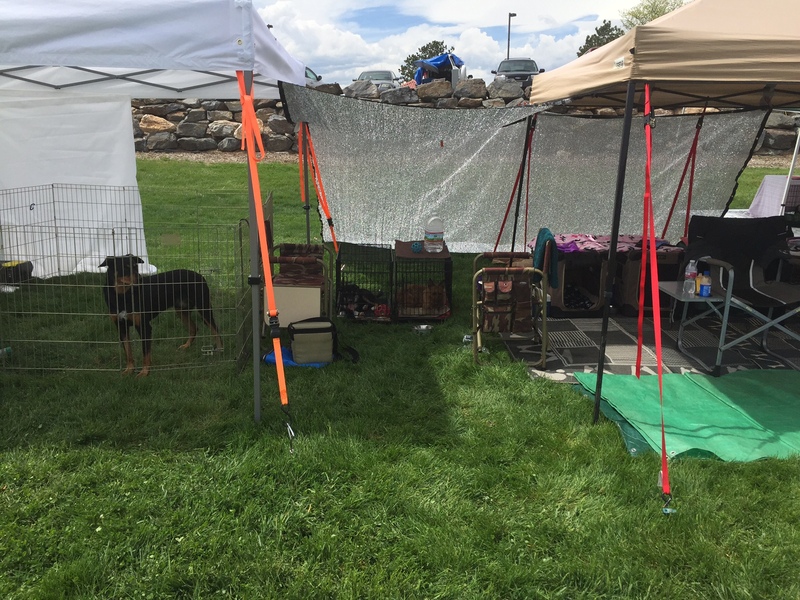 While I didn’t plan on stopping in my tracks and sending Lil through the grid, both of my dogs are trained to GO ON (forward sends), a necessary skill for NADAC distance challenges so I don’t think it affected the outcome. I know my “handling” is not in keeping with SS’s method.. but my dogs have done a lot of grids and I like to mix things up by adding various things before grids, in this case a few hoops that happened to be in the vicinity or sending my dogs around an out-of view-tree at the end of the video so Lil was approaching the grid with a lot of speed. I like this particular set up as it encouraged Lil to take a longer than typical stride before jumping the final bar. If you watch the video a second time and focus on Lil’s landing spots, I think you can see why I think she has a “preferred landing spot” that she is aiming for.. and hitting. As the session progressed, her take-off spots became closer to the final bar and she landed a bit longer those last few fast reps BUT you can see that her jumping arc length also decreased compared to earlier reps vs floating long.